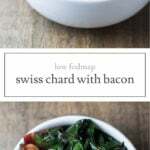 Delicious with eggs for breakfast or as a side for supper, this Low FODMAP Swiss Chard and Bacon calls for only four ingredients and is ready in less than 15 minutes. 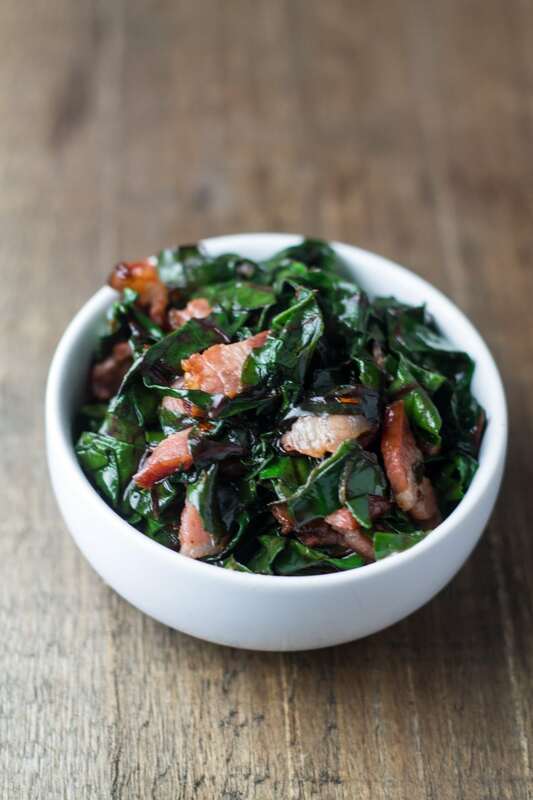 Swiss chard is one of those veggies that a lot of people are unsure about. It’s green and leafy and when cooked, looks kind of like something Popeye would eat. 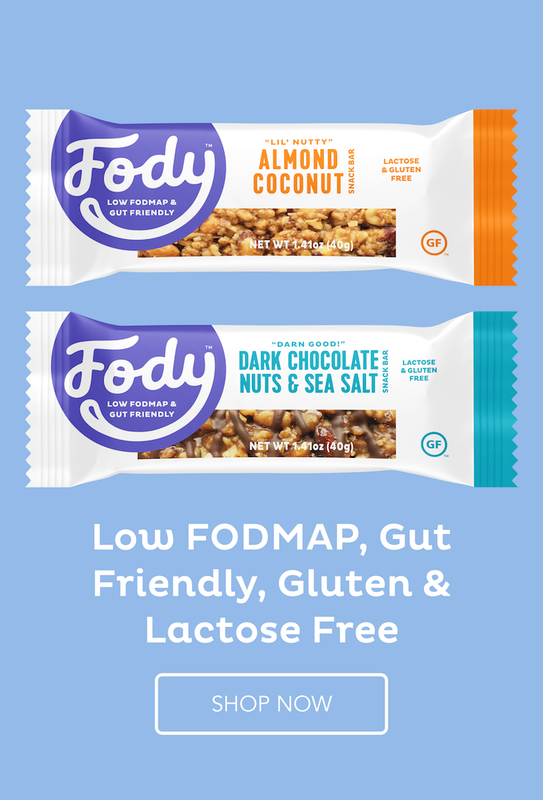 All of these are true statements, but don’t let that discourage you from trying this nutrition-powerhouse. 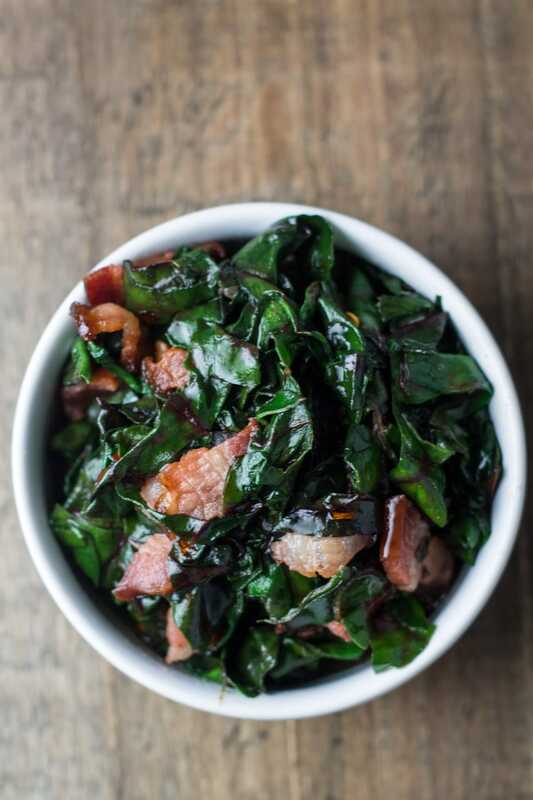 Swiss chard is packed with magnesium and vitamins A and C, and it just happens to be one of my go-to’s! Heat olive oil in a large frying pan over medium-high heat. Add bacon and cook until brown and crispy. Stir in Swiss chard and red pepper flakes. Cook until Swiss chard is bright green and just wilted. Serve warm.